We can build a loving and respectful relationship by understanding our animals and their needs and teaching them their roles in our lives. The training language opens lines of communication, enabling you to teach your dog your expectations, help him succeed when he’s unsure or confused and enable him to grow into the best version of his “companion animal self” that he can be! Those particular experiences have taught us a variety of developmental, problem solving, teaching and communication techniques. These skills have been adapted to building great dog/owner teams. Our style or technique cannot be summarized in one word or phrase. Our training uses a mosaic of teaching techniques that accommodates all personality types. We view dogs as simply needing guidance and education. They are not “broken” or “in need of taming”, only uneducated. 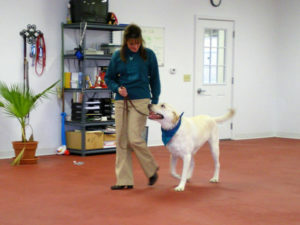 This approach provides each dog the opportunity to truly learn to be a good companion, without prior expectations getting in the way of a fair learning environment. It establishes the communication basis from which to prevent problems as well as solve others. While commands are practical, they also teach concepts to your dog: the manners of the home and your expectations. 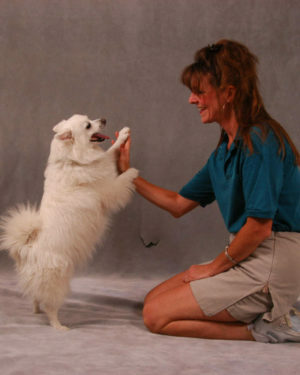 Most importantly, training teaches your dog how to get praise and succeed! Training turns your dog into a “thinking being” instead of one who acts on impulse. A great education can create the relationship of a lifetime… Are you ready to begin building yours? Check out our programs and get started!